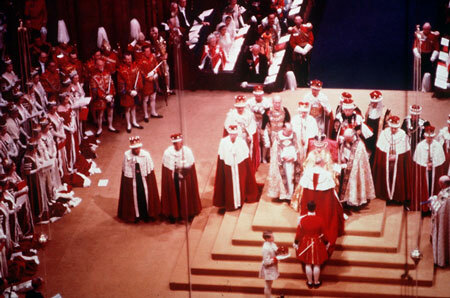 In the Coronation ceremony of 2 June 1953, one of the highlights was when The Queen made her Coronation Oath (taken from the Order of Service for the Coronation). Archbishop. Will you solemnly promise and swear to govern the Peoples of the United Kingdom of Great Britain and Northern Ireland, Canada, Australia, New Zealand, the Union of South Africa, Pakistan, and Ceylon, and of your Possessions and the other Territories to any of them belonging or pertaining, according to their respective laws and customs?